I’m sure we’ve all been there at some point, skipping a meal in an effort to drop those last few kgs fast! But here’s the thing, those hunger pains and the decrease in energy levels we feel are just the tip of the iceberg when it comes to what is really happening inside your body, especially when you skip a meal. So, what really happens? Well, for starters skipping just one meal causes a drop in your blood sugar levels. Even missing breakfast will not give you a kick start you need to get your day going. Why is this so important? Sugar is the fuel your body runs on, and if it is not circulating in the right amounts, every organ in your body is affected. You will have a general feeling of being tired and unwell overall. Plus, without a new supply of calories, your system shifts into starvation mode in an effort to conserve energy. Your metabolism slows, so the food you do eventually take in isn’t burned off very efficiently. Skipping meals will also take a toll on your brain. Without a steady supply of nutrients your intellectual and emotional functioning changes – you become foggy, moody and irritable (and nobody enjoys that!). When you do eat again your body will feel relief but this is very short lived. Your metabolism will stay low as it doesn’t know when it is getting fed again, causing your blood sugar levels to take a plunge…again. If you continue to skip meals, your body will start using your muscles as a fuel source causing a further drop in your metabolism and a decrease in your strength! So, what is the smart strategy to drop those few extra kgs? 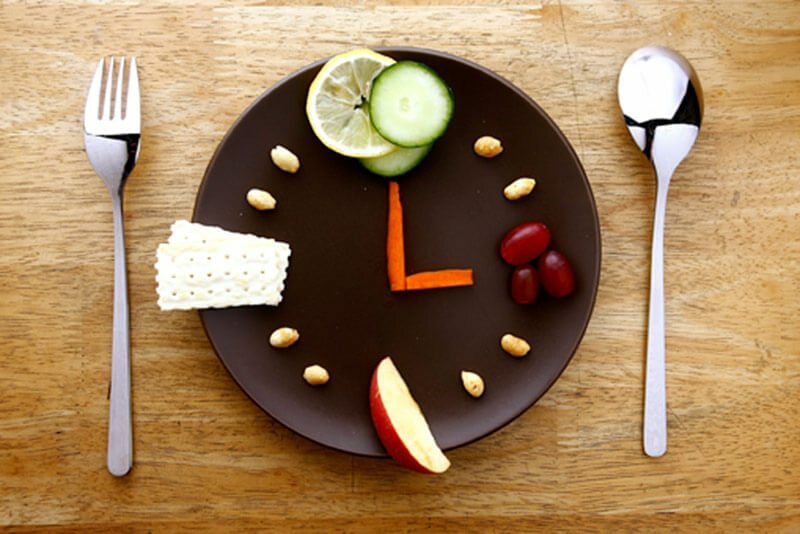 Start by eating smaller, healthier meals throughout the day. Eat foods high in quality and rich in nutrients such as lean protein combined with carbs from whole grains and some monounsaturated good fats. Combine this new eating routine with regular exercise (ramp up your current program, if needed, to burn extra calories) and you should start to see a change.